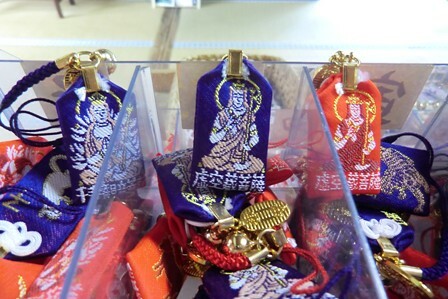 There are three new clear folders available at the temple shop! In the USA I never used clear folders, I’m not sure that there were even many for sale, but I’ve found that it can be very helpful to be able to see some of the contents of your folders without opening them up. 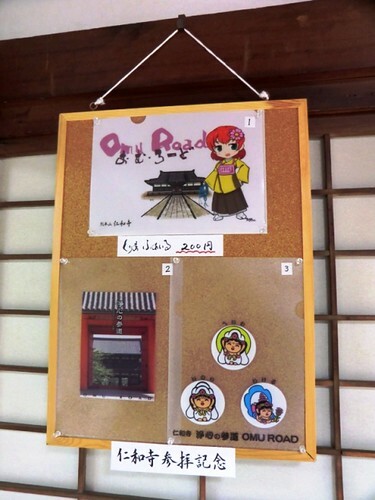 The new clear folders at Ninna-ji cost ¥200 and come in the three above designs. 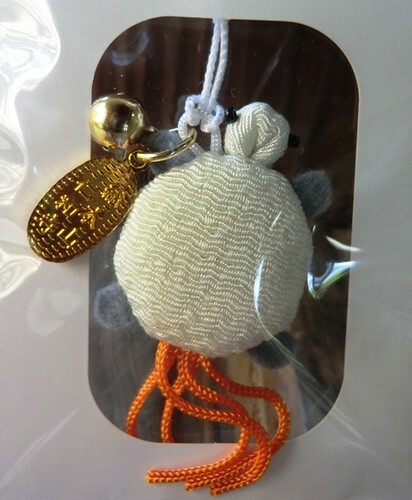 The top design features an illustration of Kon-do and was drawn by one of the monks who you can often find working in Goten. I’m sure he would be willing to give you an autograph if you asked! 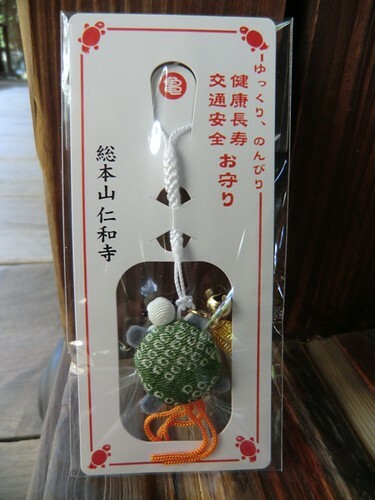 The temple shop is now offering a variety of seasonally appropriate folding fans, or sensu. 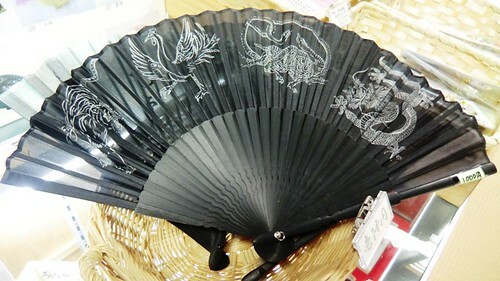 The fan above depicts the four mythical creatures which are believed to protect Kyoto in each of the four cardinal directions: the white tiger to the west, the red phoenix to the south, the black turtle to the north, and the blue dragon to the east. 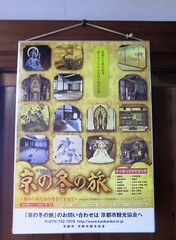 These four creatures or gods, called shishin or shijin (四神) in Japanese, come from Chinese mythology. 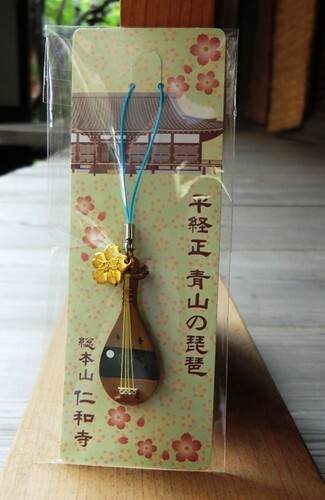 There are several other fan designs available in the shop that evoke the image of Kyoto and Japan, including a few variations on cherry blossom prints. Summers in Kyoto are awfully hot, it can be good to have a little bit of manual air conditioning available as you explore the city. Last week we added some extra lighting to the cases in the temple shop. It makes the items in the case stand out much better! 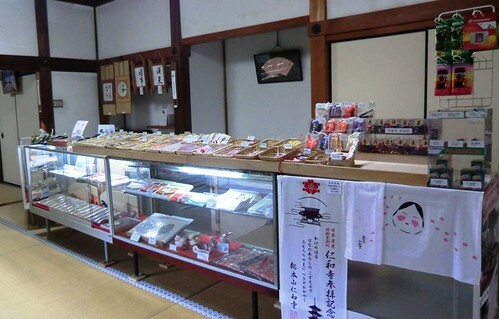 You’ll notice that there are shops of some kind at most shrines and temples you visit in Japan. 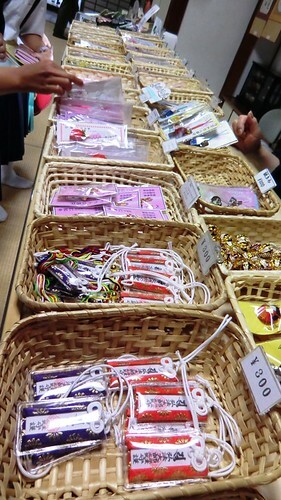 Some sell only a few temple-specfic items, while others offer souvenirs in addition to more traditional fare. 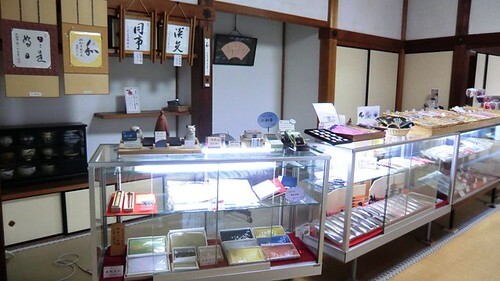 Ninna-ji has a selection of various items including incense, incense holders, prayer beads, Japanese-style hand towels (tenugui), good luck charms for all purposes, as well as a few disposable cameras just in case.